Important: NEW FOR THIS YEAR - The AM-CAN will not be providing blue and white belts. Please bring what you need. Reminder: There will be NO MAIL-IN registrations. Registrations will only be available via the online registration system and walk-ins during weigh-ins. $1500 In Prizes. $500 each for Junior, Senior and Overall Cup Winners! On-line registration will close 11:59 PM EST May 21st. 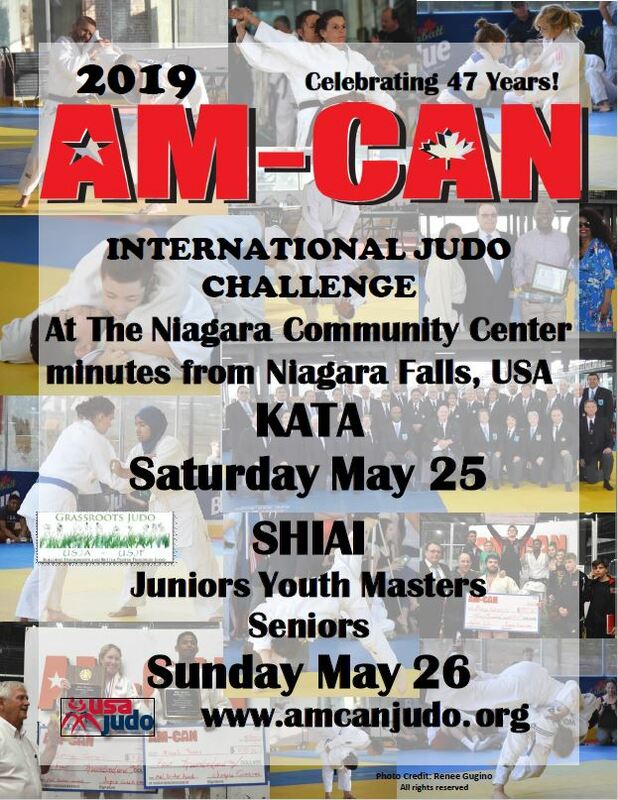 ALL COMPETITORS MUST HAVE A VALID MEMBERSHIP ID CARD (USJI, USJA, USJF, ATJA, AJJF, FOREIGN) TO PRESENT AT WEIGH-INS. NO EXCEPTIONS! *Note: If you register for Kata online you must still fill out the full form in the Tournament Information Packet and bring it to the competition.